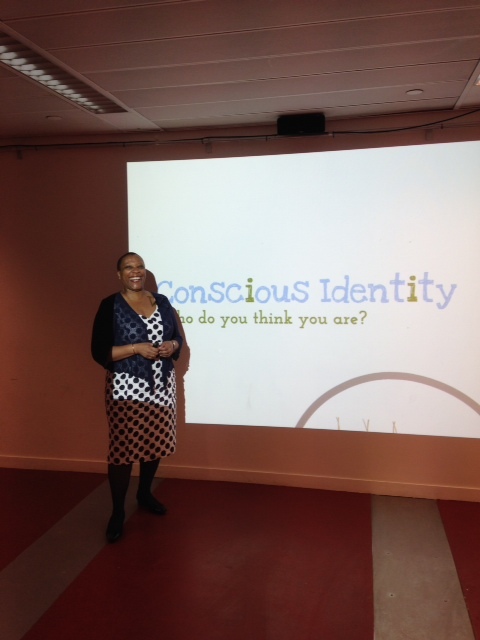 On this 14 Nov, ConsciousLab organised an exciting, highly interactive session on personal identity in work and life. The session was run by well known Sue Liburd. Sue raised some the following points. Have you ever stopped and thought about the personality you have adopted in business and whether your personality is still fit for purpose? Are you ready for an honest personal assessment of your identity? Are your old success patterns serving you? As the world changes around you, are you changing with it or are you sticking with a corporate personality that you created in the past? Are you stuck in a personality projection or worn out pattern of success – in an identity that no longer serves you? There exists a difference between who you think you are and who you really are. Everyone maintains a professional identity, an understanding of him or herself as a discrete, separate entity in relation to others. From time to time this identity needs re-evaluating. In this workshop and future events we will be exploring your current expression of your personal and professional identity. You will gain some tips as to how to consciously create your identity if you are to create or maintain your professional reputation and be a continued success in an ever changing environment. Create a conscious identity – Learn how people’s view of themselves influences how they interact with others. Explore whether the current expression of your personal identity is conscious and serving you positively. Finally, learn strategies to create and maintain a conscious identity.